Serve together. At a homeless shelter, senior facility or after-school program for at-risk children. Skip your meeting. 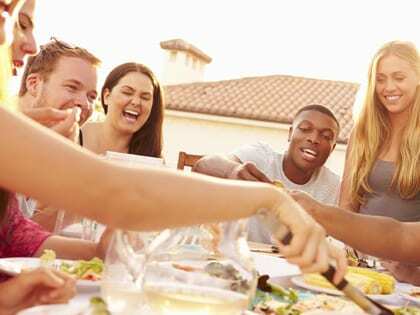 Instead of your regular meeting one week, host a fun outdoor activity. A barbecue, beach picnic, baseball game, outdoor movie…Make it family friendly, and encourage each group member to invite a friend and his/her family to the event. Invite to church. Challenge each other to invite one friend to an upcoming church event or worship service.